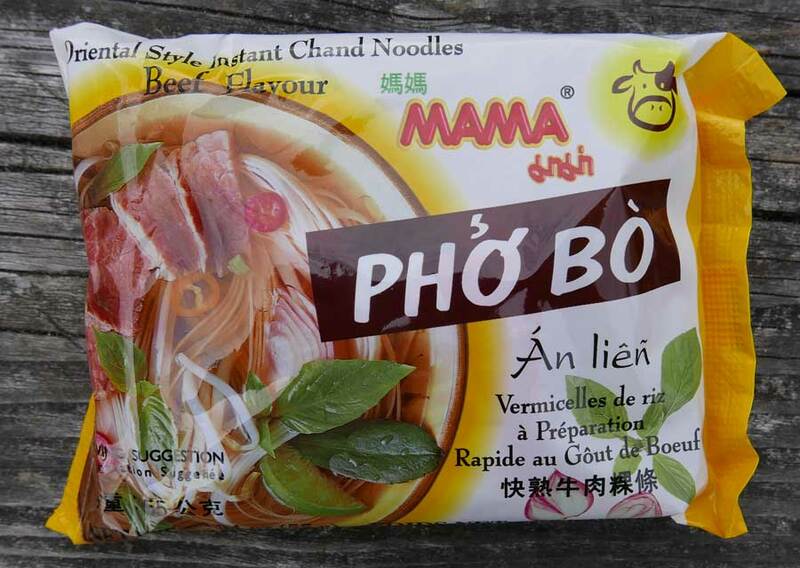 Mama is the most famous brand in Thailand for good reason, the flavor of their instant noodles is fantastic. In fact, people are always finding ways to improve their basic Mama such as turning them into a seafood salad, or a "poor man's gourmet". 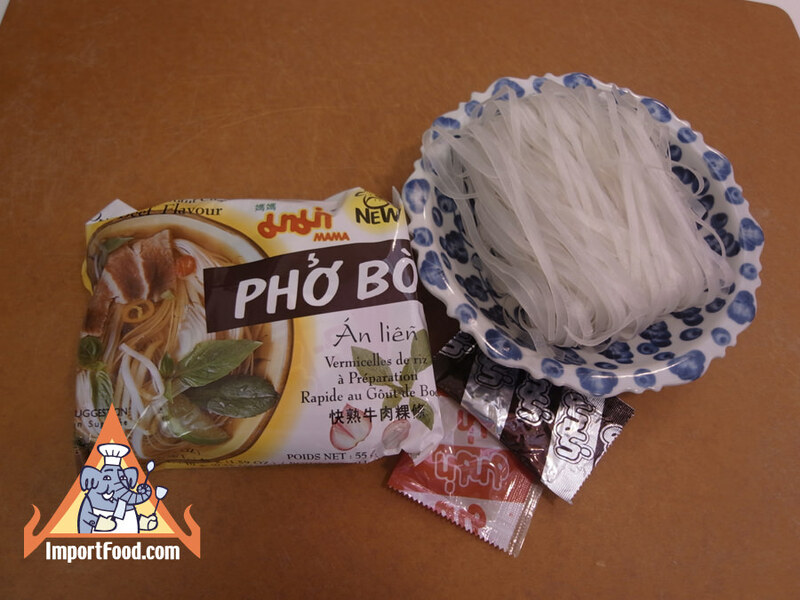 Here we have a new style of Mama, using premium chantaboon rice stick noodles. Serving size is 2.3 oz dry, which is larger than most Mama noodle packs which are about 1.8 oz. One bowl will really fill you up, and the flavor is good just like it comes. Add the two separate spice packets, then add hot water, and let sit for 3 minutes. 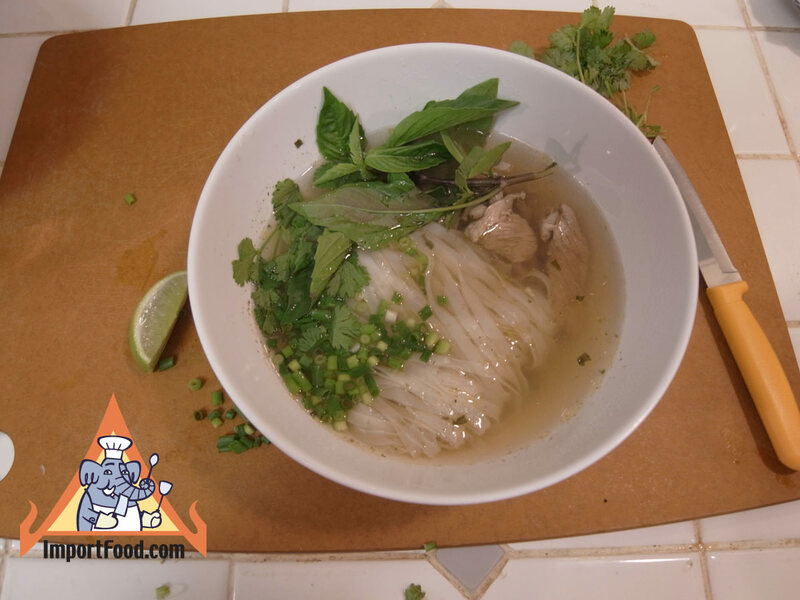 Rich in flavor, but not spicy, similar to our very popular chan clear soup. To dress it up, add thinly-sliced raw beef before you pour the boiling water over it, then cover for 3 minutes. 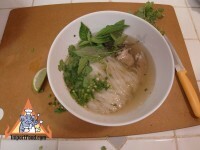 Add sliced green onion, a squeeze of fresh lime, fresh cilantro and fresh basil. 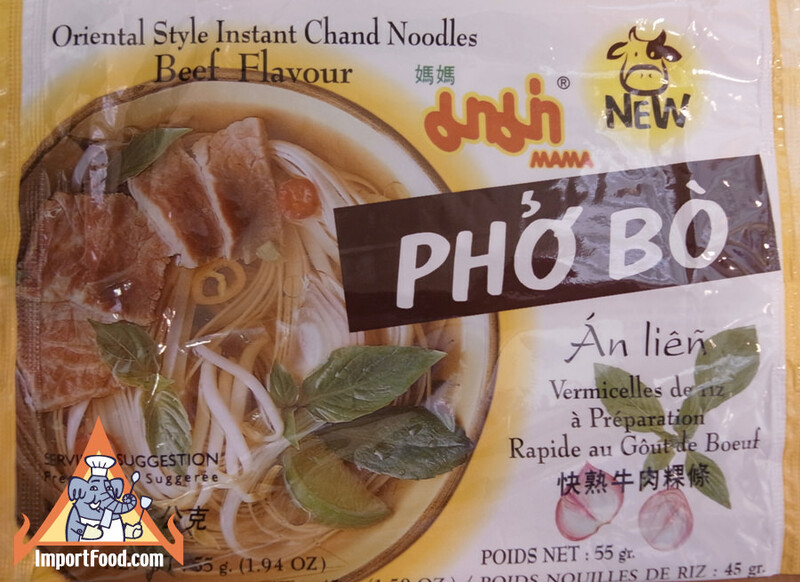 Ingredients: rice flour, salt, palm oil, sugar, artificial beef flavor (salt, sugar, celery), msg, celery powder, pepper powder, disodium 5-ribonucleotides, caramel powder. Product of Thailand. 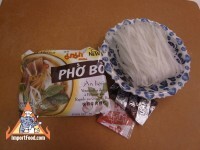 We also offer instant pho paste.